Forget that this is most likely aimed at those looking for an uber chic Valentine's Day gift and appreciate what it is. A wonderfully scented and beautifully designed candle. A Bella Freud candle no less. Those who are familiar with Bella Freud fragrances and perhaps the brand as a whole will know that Ms.Freud has an uncanny ability to create modern day , quirky classics. For instance this candle neatly ticks all the boxes for those looking for a Valentine's Day gift - red, floral and yet it doesn't rely on a rose note. Basically with Bella Freud expect the unexpected and know that it will be wonderful. As a side note each candle is hand poured within the UK and for a clean burn all Bella Freud Candles are natural soy wax. "Tuberose and Sandalwood. Tantalising notes of Tuberose absolute sitting in the heart, caressed by the warmth of Amber Crystals and silently balanced by Sandalwood." I personally would deem the Bella Freud Loving fragrance as a Spring scent, fresh, uplifting and floral. Unlike the majority of "Spring" aimed floral scents this has a certain warmth, making it perfect for curling up with in the chilly evenings - which don't tend to pass here in the UK until at least April. In my opinion the Tuberose note is most prevalent and helps to create a romantic mood within any room. The overall fragrance is strong yet not overpowering, it gently trickles throughout the entire house, filling each room as it goes and lingers for a good few hours after the initial burn. 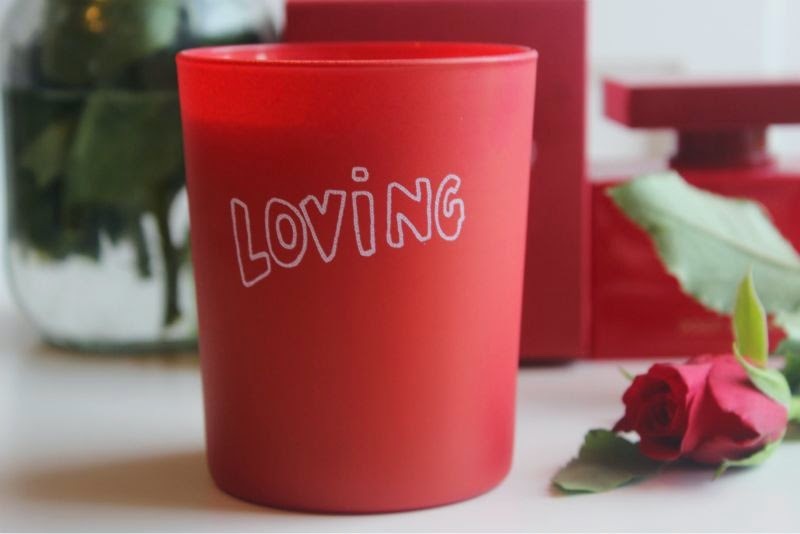 Can we quickly glance over how wonderful the design of the Bella Freud Loving Candle? I can not get enough of the understated yet attention grabbing matte red packaging which will be re-purposed time and time again when the candle held within is a distant memory. In my mind Bella Freud Loving is a 1970's love story with a modern edge. Forget Valentine's Day, you deserve this. You really do. Bella Freud Loving Candle £38 Net-a-Porter - link. Ooh I love the sound of this, nice to see such a bold design! This is such a pretty candle! Love the packaging!! Sounds like a great candle! Definitely my type. Love the packaging! Such a cute candle. Cute little candle and I like the simplistic design of the packaging. I agree, the design is really nice! Simple but fun. And now i have to figure out how to get this from Malaysia!